sander to smooth their rough faces and reduce their thickness to 3/16". Spread glue on the laminations (Photo 4). I prefer Unibond 800 with medium tint catalyst (see Sources, page 65).This glue is specially formulated for lamination work: it has a long open time, can bridge small gaps, and forms a very rigid glue line.Tape the laminations to the bending form to prevent them from shifting. Slide the form inside the vacuum bag, seal the bag, and turn on the vacuum pump (Photo 5). Once all the air has been removed from the bag, and the laminations fully bent, you can walk away (Photo 6). Once the glue is dry, open the bag, remove the form, and scrape off the excess glue from the laminations. Even up one side of the arm using the jointer, then rip it to width using the bandsaw (Photo 7). Use a magnetic featherboard to help make a straight cut (see Sources).This method is easier and safer than ripping the arm on a tablesaw. Cut the arms to length (Photo 8 and Fig. 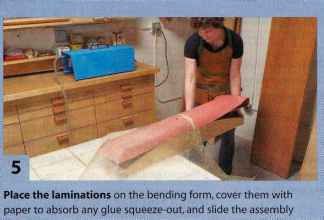 H).You can use the bending form as a jig to hold the arm, but this will ruin the form because you'll be cutting off its ends. (If you're thinking of making more chairs, build a new jig for this operation.) Most glued-up bent laminations spring back a bit after they're released from the clamps or vacuum bag, so your arm will probably need shimming to prevent it from rocking on the form. Cut both ends of the arm at 14°, using a miter saw. The legs and rails for the chair and ottoman are very similar, so if you're going to build the ottoman, make its pieces along with the chair. TIP: When you select wood for the rails, note that the top edges of all the rails show in the finished pieces. With most woods, this isn't a cause for concern, but it is for cherry. Many cherry boards con tain a lot of light-colored sapwood on their edges; if you don't want this sapwood to show, rip it from the board and glue a 114" thick all-heartwood cap piece in its place. The joint between the cap piece and rail will be hidden by grooves you'll make later. Glue on the cap pieces before milling the rails to final thickness. Cut all the rails (C, D, E, F) to length and width. Draw curves on the rails (Fig. G) using a drawing bow (Photo 9, see Sources) or a bent piece of hardboard or plywood. 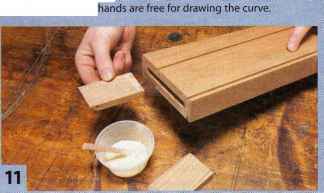 Cut the curves using a band-saw and smooth the surfaces using a drum sander, oscillating spindle sander, or a round-bottom spokeshave. Cut shallow, flat-bottomed grooves in all the rails (Fig. 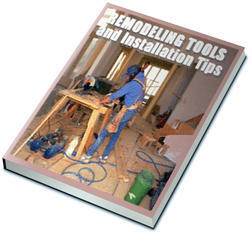 B) using a router or a tablesaw equipped with a ripping blade with flat-top-ground teeth. Remove all the air from the bag using a vacuum pump. Atmospheric pressure compresses the bag and laminations over the bending form, creating the curved arm. Place the laminations on the bending form, cover them with paper to absorb any glue squeeze-out, and slide the assembly inside a vacuum-veneering bag. Joint one side of each arm, then rip the opposite side using a bandsaw. Use a featherboard to hold the work tight to the fence. This one has a magnetic base. Lay out curves on the rails using a bent stick. I prefer a commercially-made device called a "drawing bow." It has a strap for bending the bow so your hands are free for drawing the curve. Rout mortises for all the joints, which are assembled with loose tenons.The JDS Multi-Router, with its sliding table and horizontally-mounted router, is perfect for mortising both rails and legs. Fitting the arms to the back legs takes special care. Mark the tenons using an angled guide piece, then cut them so the arm slides straight down onto the leg. Glue the loose tenons into the rails first, then assemble the chair. 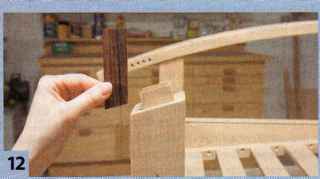 Use one wide piece or two narrower ones.The tenons are mitered because the mortises meet inside the legs. so extra long, then temporarily clamp the legs and rails on your workbench to form one side of the chair. Mark the top ends of the legs at 19-3/8" and 21-3/4" to indicate the position of the arm (Fig. H),then place the arm on top of the legs, with a 1 -7/8" overhang at the front. Transfer the curve of the arm to the legs, then draw a straight line on the legs, tangent to the curve. (The tops of the legs don't have to be curved- three tenons make the joint strong enough.) 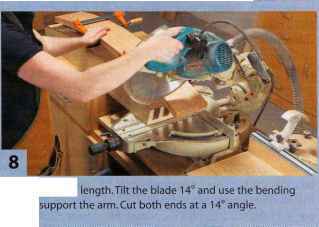 Use a miter saw to cut the legs at the correct angles. Cut mortises for all the rail-to-leg joints (Figs. B and H). You can use a plunge router, the Festool Domino,-Leigh FMT, or a dedicated horizontalrouting machine such as the JDS Multi-Router, which I prefer for its ease of setup and operation (Photo 10). Make loose-tenon stock. It shouldn't be too tight, but should slip easily into the mortise by hand. Round over the edges of the stock using a roundover bit in a router table. Cut the stock to length; miter the ends of the rail tenons. Glue the tenons into the rails (Photo 11). Make the corbels (G, H, and Fig. N). Cut the top of each corbel at an angle to match the top of the legs. Cut biscuit slots in the corbels and legs for alignment. Cut mortises for the arms in the top ends of the legs (Fig. C). Dry-clamp each side of the chair and transfer the location of the mortises to each arm. Cut the mortises in the arms. Place the tenons into the legs, but don't glue them-you'll have to taper the tenons for the arm to fit. Mark the tenons with an angled stick (Photo 12). Remove the tenons, cut them on the bandsaw, then glue them into the legs. Drill holes in the back legs for the pegs (R) that attach the chair's back (Fig. G). Assemble and glue the chair's base. Glue the sides first, then the whole base. Glue on the corbels last. Finish making the arms (Fig. E). Drill holes in the arms for the pegs (S) that the chair's back leans against (Fig. H). Bandsaw the profile on the back ends (don't forget that the two arms are mirror images!). Round the front ends with a file or sandpaper. Resaw and plane laminations for the back's top rail (L) and slats (M). Make the laminations 3" to 4" extra long. 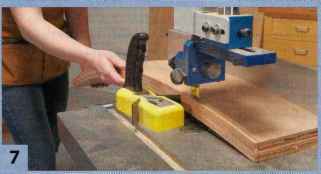 You may laminate each slat individually or make wider blanks and rip them into individual slats later.These laminations are only 1/8" thick; make extra pieces in case some fracture when they are planed. Make a second bending form (Fig. M), then glue and bend them in the same manner as the arms. Rip the rail and slats using a band-saw, as you did with the arms. 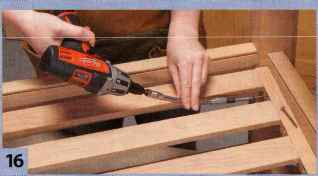 Use the bending form for cutting the ends of the rail and slats to length (Photo 13). Cut mortises in the back's slats using the Multi-Router.Support the slats on a board to hold them square to the bit. 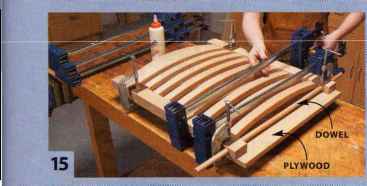 The back slats are laminated and curved, just like the arms:Make a new bending form for the slats, and use it for support when you cut the slats to length. Glue the back. Clamp the assembly to a piece of plywood to keep it flat. Use a dowel to align the holes that the back pivots on. Install a slatted frame to support the seat cushion.The screws go in a narrow opening between the slats. Drive the screws using a flexible shaft. Mill the back's stiles (K) to final size. Drill holes for the side pegs (Fig. G). Machine mortises in the stiles, rails, and slats (Photo 14). Clamp the stiles to a board when you glue the back in order to keep the assembly flat (Photo 15). Make the seat supports (N) and glue them to the chair's rails (Fig. H). Build the seat's frame (P,Q) a little oversize, then saw or joint it to fit inside the chair. Fasten the frame to the chair's side rails (Photo 16). I made sturdy and nice looking pegs from hardwood dowels and 1/4" aluminum rod (Figs. 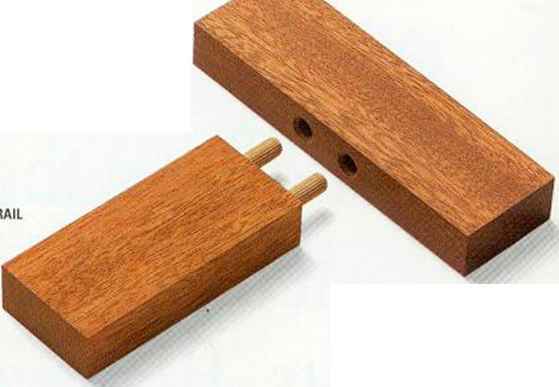 R and S).To make the pegs, turn or purchase 5/8", 1" and 1 -1/4" cherry dowels.To make the back pegs (R), drill a 1/4" hole into the end of a piece of 1" dowel, then epoxy a short length of aluminum rod into the hole. Make the arm pegs (S) in the same way, from 5/8" and 1" dowels, or turn them as one solid piece. Cut spacers (U) for the side pegs from 1-1/4" dowel stock (be sure to support the dowel in a V-block for safety). Mount the dowel slice to a board using double-faced tape, then drill a hole in its center using a brad-point bit (a Forstner bit may split the spacer). Alternatively, you can make spacers from flat stock and sand them round. Install the back and see if it pivots without binding. Laurie McKichan designs furniture to be "simple, honest, and direct." You can see more of her work at lauriemckidian.com. 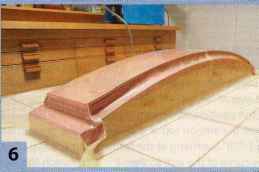 sterer to make them for you.The back cushion is 4" thick, the seat cushion is 5" thick, and the ottoman cushion is 3" thick. Finish the chair with three coats of wiping oil, or two coats of brush-on varnish.